An INTI student – Soo Wei Chern – has come up tops globally in the South Australian Matriculation (SAM) exams with a perfect ATAR (Australian Tertiary Admission Rank) of 99.95. Along with 13 fellow students with ATAR of 99 and above, Soo Wei Chern, a student at INTI International University (IU), ranks high among the top 10% of achievers at IU and the top 1% worldwide. 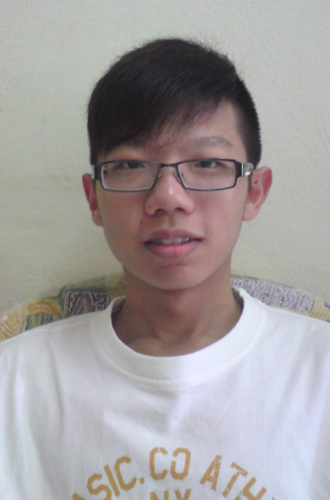 Soo, a Public Services Department (JPA) scholar who wants to become an accomplished actuary, also received three Merit Certificates for perfect scores in Accounting Studies, Economics and Mathematical Studies in the 2010 SAM examination. 10 other Merit Certificates were obtained by seven IU students. A total of 226 A’s were achieved in total with 34 students achieving a minimum of 4A’s. “I attribute my success to my mum, who is my inspiration in life. Her motto is to persevere in life and never give up in any endeavour, which is also a belief I adhere to,” said Soo. Acknowledging IU’s ability to produce excellent scholars, the Public Services Department (JPA) allocates a number of scholarship students to the institution to pursue the SAM qualification annually. These scholars have done very well in the 2010 examination, and look forward to further studies abroad in areas ranging from actuarial studies and quantity surveying to urban and regional planning. The internationally recognised SAM qualification is equivalent to A-Level and allows students to gain direct entry into universities in Australia, New Zealand, the UK, the USA and other countries. IU is one of the few SAM examination centers in Malaysia recognised by the Senior Secondary Assessment Board of South Australia (SSABSA), which awards the South Australian Certificate of Education (SACE) and administers the SAM programme. IU is the largest center for SAM in the southern region of Malaysia. For further information on INTI International University’s SAM programme, call 1300-88-4684 or visit www.newinti.edu.my. Soo Wei Chern taking a breather after his hard-earned success. 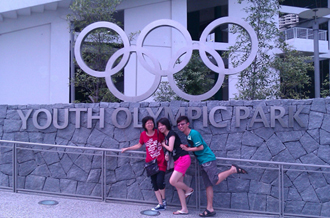 With mum and sister: strong family ties ensure that Soo (right) shares his mother’s (left) positive outlook on life.